There were two techs on 8am-4pm, three on 4pm-Midnight, and two on Midnight-8am. During the normal work day we would have the Chief Tech, 2IC, other senior techs, a bunch of technicians, office lady, handyman and cleaner on site. Rigging maintenance, engine maintenance, aircon work and other infrastructure maintenance was done by Palmerston North based staff who traveled down as required (only a 15-minute drive). 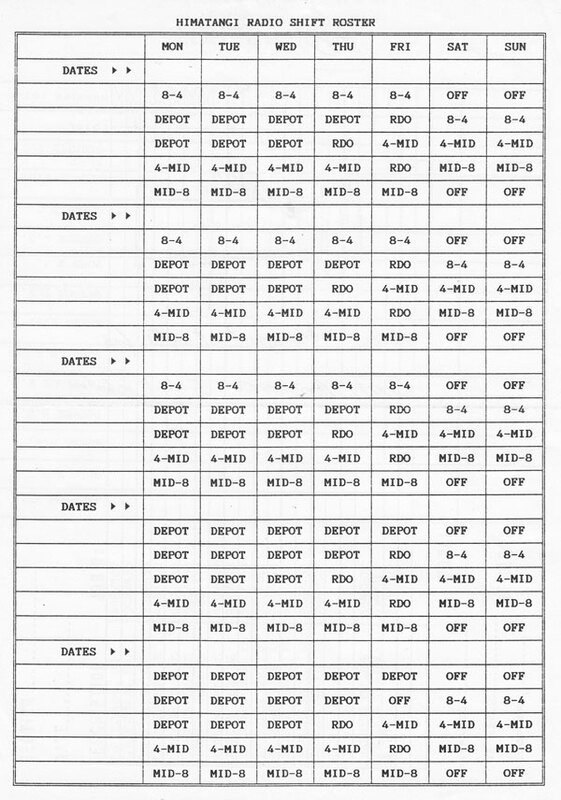 This roster below would date to when the station was in full swing – it was certainly in place when I was there (1968-1971). The Depot shift was the Mon-Fri 8-4:30 maintenance shift. Those doing that would be engaged in the routine maintenance of transmitters, drive units, etc. Those that wanted would head off at noon down to the settlement for lunch, either at home or in the hostel for residents. Those doing the 8-4 stayed on site. The 8-4, 4-Midnight and Midnight-8 staff were responsible for the operation of the station, i.e. turning services on and off according to the transmission schedules and changing frequency as the layers changed. 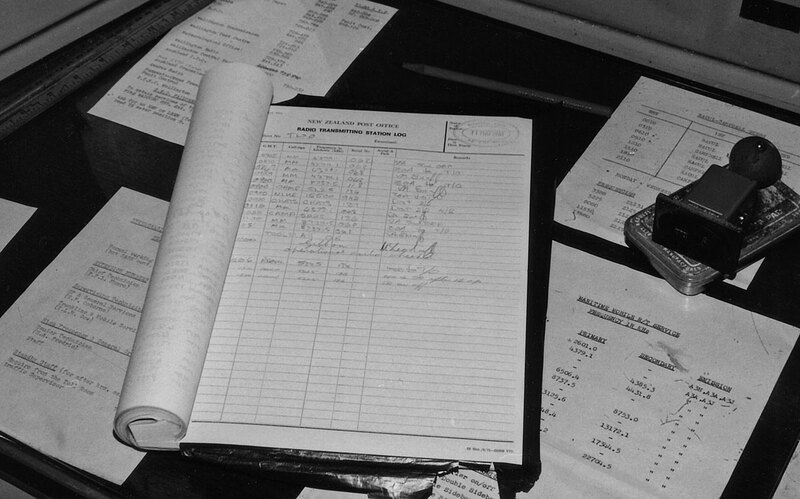 Everything was logged in the official log book at the control console, a list of all operations performed relating to transmitting. Himatangi Radio transmitter log, 11 May 1981. Click to enlarge. This log started at 0000 GMT (midday local time) and a GMT clock was used for all entries. Most operations were scheduled, e.g. 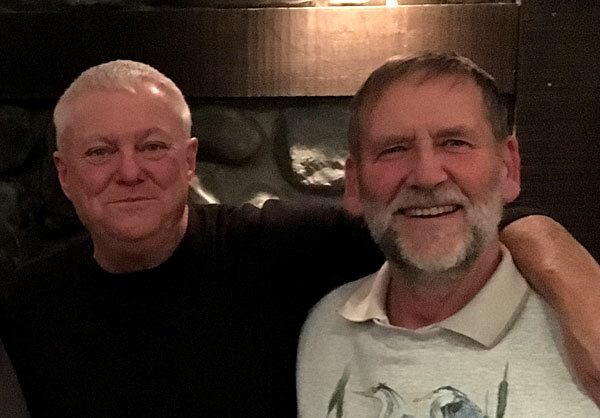 Raoul/Campbell, Chathams, Scott Base, etc, but you could get the odd request to bring up a service for, say, a ship in the Panama Canal. This would involve selecting the appropriate antenna, usually a rhombic aiming in the right direction and firing up a transmitter. At the same time those working in the Makara receiving station would be doing their part. Some maintenance had to be done out-of-hours. 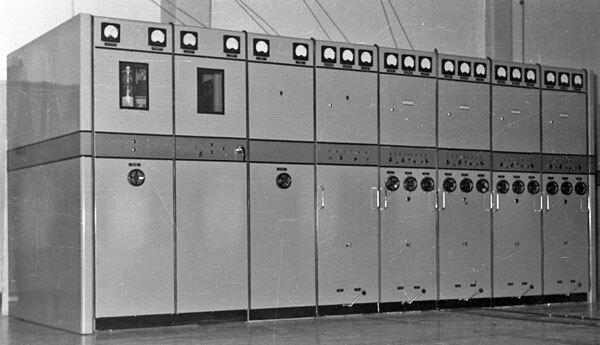 I remember that the three Philips transmitters (1282, 1283 and 1284) were done by the Mid-8 staff. This usually ended up in a hair-pulling exercise. The transmitters had a walk in power supply, and the RF trucks in a row alongside. You can just make out the big switches at the bottom of each RF truck in the photo above. Each one operated a rather complex mechanical switch under each truck to connect and disconnect the high voltage. It was a given that when maintenance was completed and the switch restored, it would play up, resulting in a frustrating time getting it sorted. These RF trucks had 3 phase motor-driven cooling and occasionally one phase wouldn’t restore. You’d be unaware until you saw the smoke coming out as the motor cooked. We had a few go up like that when I was there. Generally the Mid-8 was pretty quiet. It was common for the two staff to take turns having a kip and a blind eye was turned to the presence of a mattress and other bedding tucked away in the valve store. The most exciting thing that could happen would be a power cut, occasionally caused by a possum shorting out the 110kV (I think) going up the Foxton Straights. Two thing would happen simultaneously, the lights would all go off and the station would become deathly quiet without the white noise from the forced air cooling. 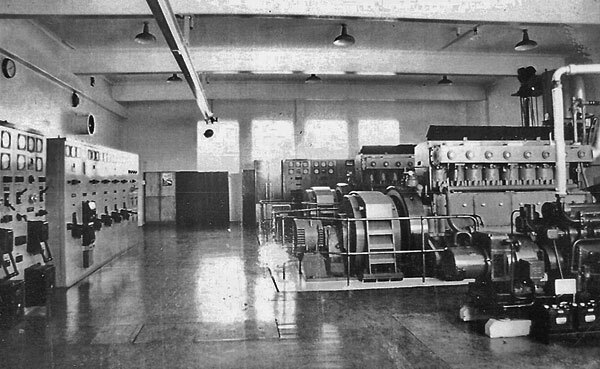 Then we’d hear the dong-dong-dong power fail alarm on a transmission rack in the carrier/transmission room, and the little Lister quick-start emergency generator would sputter to life, powering the emergency 50V lights. 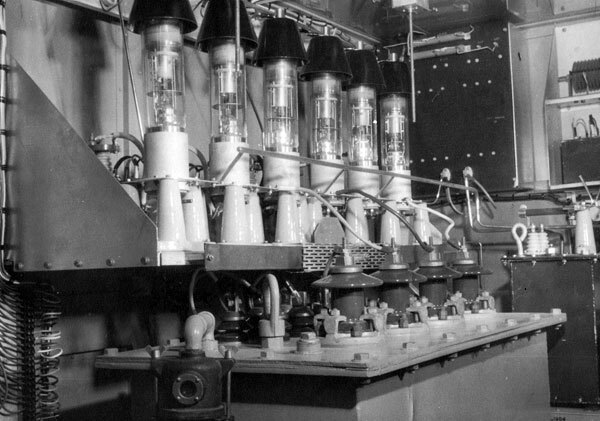 This photo, taken in 1969 or later, shows the smaller Lister generator in the foreground at right. In the background are the two big Mirrlees engines. Maintaining vital infrastructure was a round-the-clock job at Himatangi. Then we’d need to start a run sheet for the engine(s) and do regular temperature readings and checks. We would top up the compressed air cylinders that we had used to start the engines. The Mid-8 shift, affectionately known as the Doggo shift, saw all manner of PJs (private jobs) being undertaken. 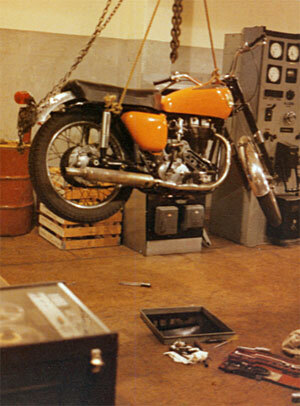 The photo shows my 1953 Ariel 350 undergoing some maintenance in the engine room. The work was accompanied by music from the reel-to-reel you can see in the bottom left corner. Again, a blind eye was turned to these activities but bad news would result if you hadn’t tidied up in the morning. The Doggo shift was also good in the fact that apart from PJs you got a good break by finishing at 8am Friday and not starting back till 8am Monday. One of the things I achieved (after a short sleep on doggo) was my private pilot licence. In the morning I would drive through to Milson Airport in Pamerston North and do training flights at the aero club (circuits around the airport doing ‘touch and go’ landings and takeoffs). 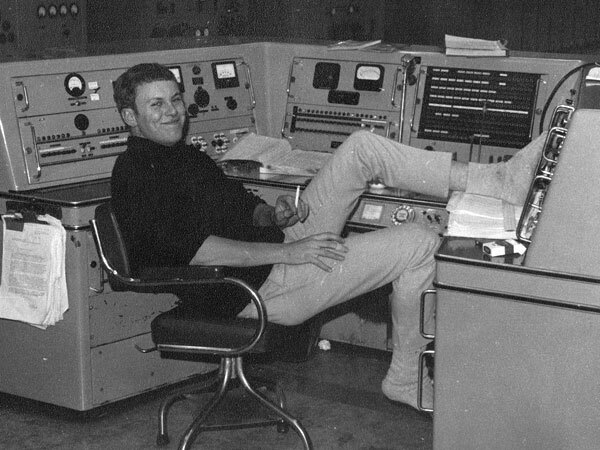 I got up to about 20 hours solo flying before getting a promotion back to Awarua Radio. Invercargill’s coastal weather was more boisterous than at PN so I only did a few subsequent flights before giving it all away. 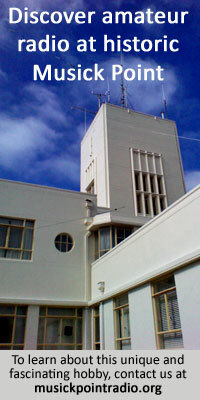 In the latter stages of Himatangi’s operation, when services were dwindling, there was only one local tech permanently on site Mon-Fri 8-4:30, with others traveling down from the Palmerston North Radio Depot to do the maintenance. After-hour issues were covered by callout.